"By Gods Betrayed!" Part 1 of 5. Script by Roger Stern. Art by John Buscema (breakdowns) and Tom Palmer (finishes). Cover by John Buscema and Tom Palmer. Someone in a very high place is very upset with Earth's Mightiest Heroes! Enraged that his son was beaten into a coma, the mighty Zeus sends his fellow gods to punish the Avengers! Artemis, Dionysus, and Hermes attack the Avengers in Manhattan, while Ares and Hephaestus battle Thor in majestic Olympus! Unfortunately, these battles are complete mismatches. And the Avengers suddenly find themselves standing before Zeus in the royal court of Olympus! But Earth's Mightiest Heroes won't be there for long…after Zeus gives them a one-way ticket to Hades! Ready or not, the Avengers are about to embark on their very own Greek odyssey! Cameo appearances by Hercules and Zeus. Avengers Lineup: Black Knight, Captain America, Captain Marvel, Doctor Druid, She-Hulk, and Thor. 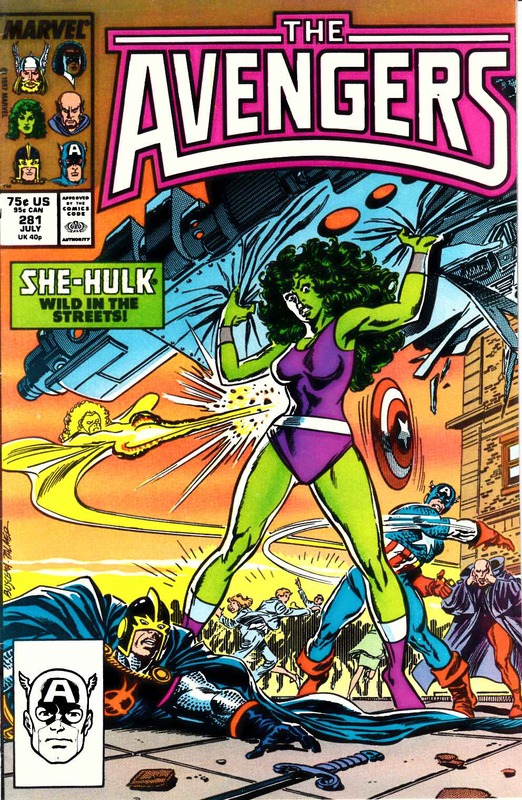 Please ask a question about the product Avengers #281 Fine (6.0) [Marvel Comic]. Thank you for your question about the product Avengers #281 Fine (6.0) [Marvel Comic]. Notify me when the Avengers #281 Fine (6.0) [Marvel Comic] is in stock. The e-mail to your friend will include standard text from Dreamlandcomics.com, including a link to the product Avengers #281 Fine (6.0) [Marvel Comic] and a picture, if available. If you would also like to include personalized text, please enter it in the box below.